Due to our continued work within the healthcare sector, Steon have expanded the range of products suitable for application in areas where ease of maintenance and hygiene are paramount. 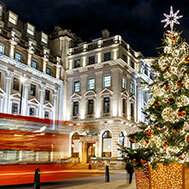 The most recent introduction to this range is the Castor LED. 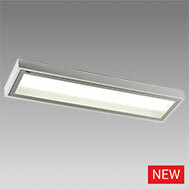 It is a surface mounted luminaire ideal for operating theatres and clean rooms. 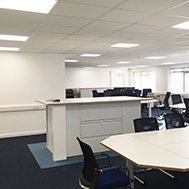 Lighting within the healthcare sector have exacting requirements over and above providing adequate light levels. Luminaires within these schemes must abide by stringent hygiene requirements and regulations, the Castor LED has been designed and manufactured specifically for these environments. This IP65 luminaire is available in 4000K with outputs ranging from 4050lm – 20250lm (luminous efficacy up to 147lm/W). The luminaire is available with 3 hour-maintained emergency and DALI (digital) dimming and also boasts a high CRI value of 90. For more technical information please see here. We continuously seek to strengthen and diversify our range of industrial LED luminaires. 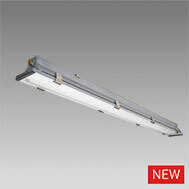 After much research and development, we are pleased to announce the introduction of the Astron linear luminaire. This IP66 rated industrial fitting is manufactured from aluminium and is intended for installation in areas where extreme temperatures between -40°C to +75°C are experienced. The Astron has other advantageous features including high chemical resistance properties and a robust diffuser manufactured using tempered safety glass. The Aston LED has been designed for areas such as: cold stores, bakeries, heating plants, refrigeration areas and glass factories. This luminaire is resistant to deformation, dust, spouting water and is the perfect lighting solution for chemically aggressive environments. We continuously seek to strengthen and diversify our range of industrial LED luminaires. James has worked in various IoT companies over the past four years gathering a wealth experience and knowledge in lighting, wireless lighting control and management systems, BMS, space analytics and beacon networking solutions. James joins our team with a comprehensive understanding of wireless communication technologies including ZigBee, Bluetooth, 868MHz and Thread. With his extensive knowledge and experience integrating smart technologies into luminaires and creating a suite of products for many varied applications across retail, industrial, education and social housing environments. Leaning on James’ technical background we anticipate further establishing and developing the versatility of Steon’s new system technologies, namely PRO-ECO. Whilst assisting with the development of our wireless control systems, James will also be customer facing, employing his expertise to assist clients in his capacity as a sales representative. 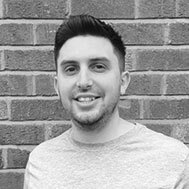 James is field based and will focus on developing and nurturing new and existing client relationships, collaborating with them to fulfil their varied commercial lighting requirements. As technology within the lighting industry is continuously improving and developing, we felt it was time to give our LED Grid panel a makeover and update the technologies it utilises. 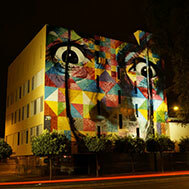 The new and improved LED Grid is now even more diverse and flexible with impressive lumen outputs. 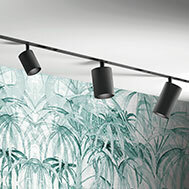 Steon now offer a choice of four different TPa and TPb rated diffusers. This luminaire is suitable for installation in a number of applications, including hospitals, educational facilities and commercial offices. The LED Grid is available in either IP20 or IP44 and has a range of other options, including 3 hour maintained emergency, DALI dimming, integrated Remote Intelligent Control (RIC) and colour temperatures ranging from 3000K – 6000K. Please see here for additional technical information and to download the LDT files. Steon Lighting are pleased to announce the introduction of our versatile new range of LED floodlights, the Newlands. These high quality IP66 floodlights are the ideal solution for exterior, industrial and sporting applications. The Newland products are not only robust, durable and functional but they also benefit from a life expectancy in excess of 60,000 hours and are virtually maintenance free. The Newland LEDs are available in six outputs with lumen packages ranging from 26290lm – 157740lm with luminous efficacy of 142lm/W. Steon’s floodlights are manufactured from die-cast aluminium with excellent thermal management properties. They are also powder coated which not only results in them being aesthetically pleasing but also provides anti-corrosive protection. 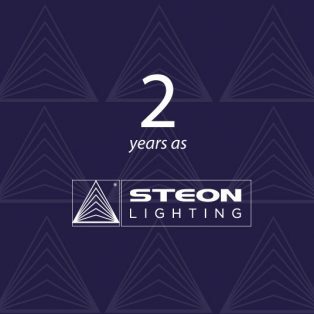 1st February 2019 marks the 2nd anniversary of our company re-brand from Lamps & Lighting Ltd. to Steon Ltd.
We have many exciting plans for the year ahead so keep your eye on our website and social media accounts to keep up to date with our latest announcements.